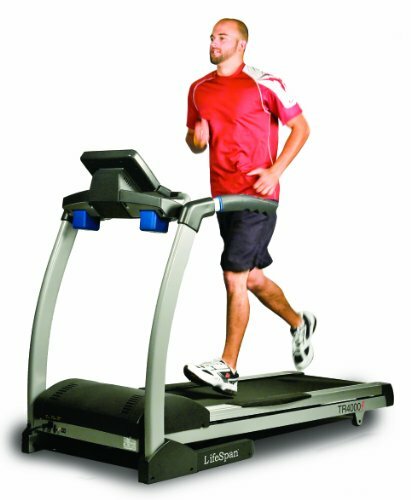 If you are looking to find the best treadmills for jogging, then you have made it to the right guide. Where below, we take a look at a selection of the very best (& award winning) treadmills that will not only tick all the boxes to accommodate for keen joggers, but they also go 'above & beyond' too (from offering extra 'cushioning' t0 protect & support your joints on impact whilst you are working out -- to offering premium features such as online fitness logs), generally offering exceptional club-like quality & (with respect to their price tags) a whole lotta' bang for your buck! So hopefully you will find just the right model that meets all your jogging preferences & needs from the range below -- or at least get a clearer view as to what you are now after within a treadmill. For such a low price tag attached to the 505 CST, it packs a whole lot of value -- and in turn is a great model for joggers to consider. Featuring a 2.25 HP (Mach Z) motor -- it allows you to run up to speeds of 10 mph as well as being able to adjust the incline (at each %) up to 10%. 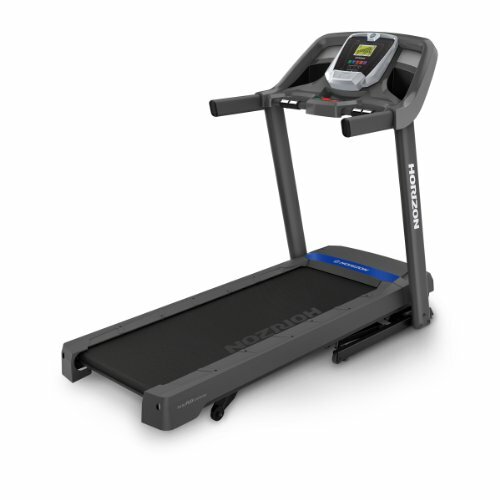 The running deck (measuring 20 x 50 inches) is supported with ProShox Lite 3 cushioning system to allow maximum protection for you joints as well as improve both 'comfort' & recovery (enabling you to essentially go for longer -- and generally operate quieter than the standard treadmill belt). It is also iFit compatible, which basically allows you to take your workout online - for instance running online courses powered by Google maps, whereby your treadmill adjusts the incline level to that of the 'hypothetical' slope of the terrain you are running on as well as it recording all the workouts you undertake (like an automatic workout log) to admire all the progress you have made. Other aspects I like are the intermix surround sound system so you can plug in your iPod and listen to music as you are jogging as well as the wide range of fitness aps on offer -- all accessible through the central console display. In all, a decent option for keen joggers to consider. 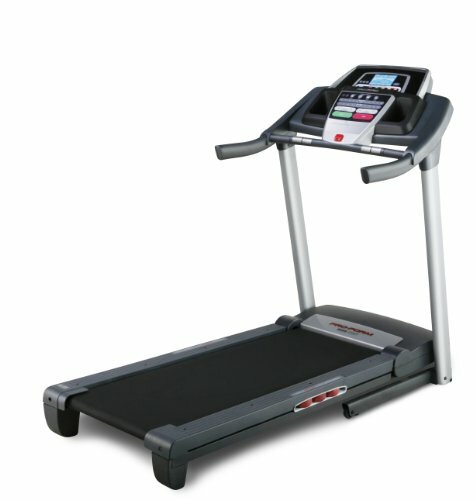 This very well regarded treadmill is similar to the 505 CST in that it also features a 2.25 HP motor that allows speeds of up to 10 mph & 10 % incline level (holding weight capacities up to 300 lbs) - but is a little more feature rich (hence being awarded by the Treadmill Doctor as a best buy). For instance, you get a 'COOL' fitness fan that distributes a refreshing airflow over you during your jog, making it that bit more comfortable. You are also (well I find) better supported (perhaps due to it being steel welded etc. -- a solid machine) & just get a general better running experience with the T101-4 in part due to its "perfect" Flex deck cushioning system (utilising a range of shock absorbers within its suspension). The console is bit more of advanced too -- providing you with a huge range of 30 fitness programs that include a 10 step goal workout - which I find particularly useful (especially from a jogger's perspective, just helps to mix it up a bit). This model, doesn't really offer anything 'more' than the 505CST -- it just has a better 'feel' to it, so if you are going to be jogging quite frequently (after testing them both out) I would say it is worth paying the extra 100 bucks or so. This treadmill is my personal favourite -- and has received numerous awards (incl. the treadmill doctor's best buy as well as "head of the class" from the Treadmill professor & many, many more) & all for a good reason -- for its price tag, it offers exceptional value. It features a powerful 2.5 HP motor that allows you to access speeds from 0.5 to 11 mph as well as an incline level of up to 15% (giving you a range of jogging conditions to work with, especially with its fitness programs scripted by leading health & fitness professionals). At the centre piece of the treadmill is the easy-to-navigate LCD console that provides you with all the necessary diagnostics & information (such as calories burned, distance travelled, speed, incline level etc.) as well as offering a range of features such as the jack-in ports with exclusive speakers to allow you to simply plug in your MP3 & listen to your audiobook/podcast/music aloud to keep you entertained as you're jogging. In all, this is a fantastic treadmill & if you are unsure as to which model to get, you really can't go far wrong with the TR1200i. If you are liking what the TR1200i has to offer, but are wanting more in terms of support & protection for your joints -- then the TR4000i model (essentially an upgrade) could be the perfect model for you. It has an extra 2 elastomers (making eight in total) integrated into the biomechanical 'correct' deck along with an extra 1/4 inch phenolic deck thickness (with an added 4 inch length, to make it 20 x 60 inches) -- making each stride landed well 'cushioned' along with a 'springing' motion to ease every release. In all, allowing you to go essentially go for longer & harder due to minimized impact felt on your body & improved recovery (generally making the whole running experience that bit more comfortable). 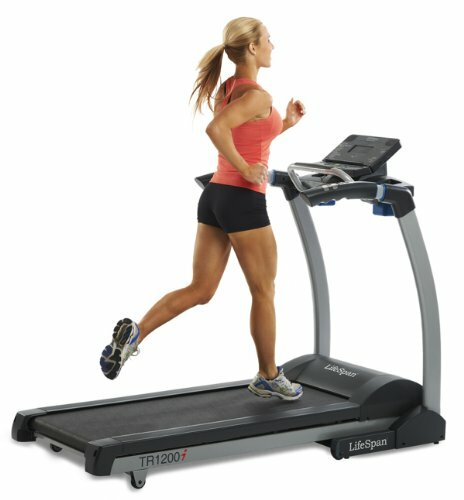 If you have any remarks, questions or concerns regarding either the showcase of the best treadmills for jogging - or about any of the models mentioned above then please do not hesitate to make them in the comments section just below and we will be sure to get back to you as soon as possible. 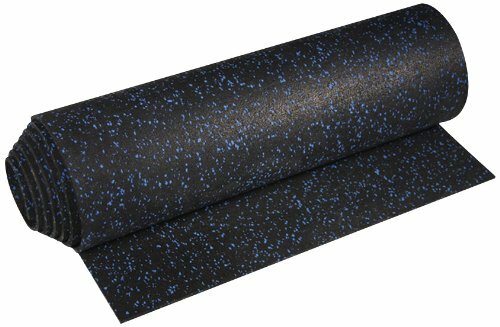 Get hold of a protective mat to ensure your flooring doesn't get damaged as well as your brand new treadmill, I recommend something like ProImpact that has been proven & tested to work on thousands of treadmills across Gyms & Homes. Also, get hold of some specialised treadmill lubricant to ensure your treadmill keeps on running smoothly.